Cochise Tara-Saa, author of the Ancient 20 and founder of the Urban Kryptonite series, came up with a theory about people wanting fast results for something that takes a process and gestation amount of time. We use to do this from time to time, come up with what we called theories and make humor out of them. This one we called the Magic Bullet Theory, and he wrote about it in his book. The microwave, instant this, instant that, minute rice, fast food, has all sped up the reaction times we’d like with things, especially our health (and commute to work). …healing begins in the mind and permeates the entire body. What we’re really facing is our desire not to do the work. We don’t want to get on the treadmill, take a walk, lift our weights, change our eating habits, so we want a magic bullet. I believe in hacks, health hacks, brain hacks, energy hacks; but I don’t believe in always taking shortcuts to while trying to receive the results of the person working hard. 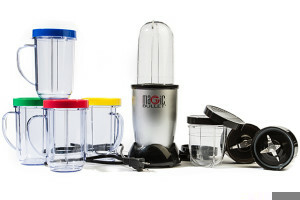 Stay away from the magic bullet theory mode of thinking. Develop the patience and the habits necessary to respect the process and still get the job done! InstantHealthMakeover is not affiliated with The Magic Bullet. If you choose to purchase one we have an affiliate link with with Amazon you can use if you choose to support the financial interest of the maintenance of this website. Thank you! Next story Mold Making You Tired?